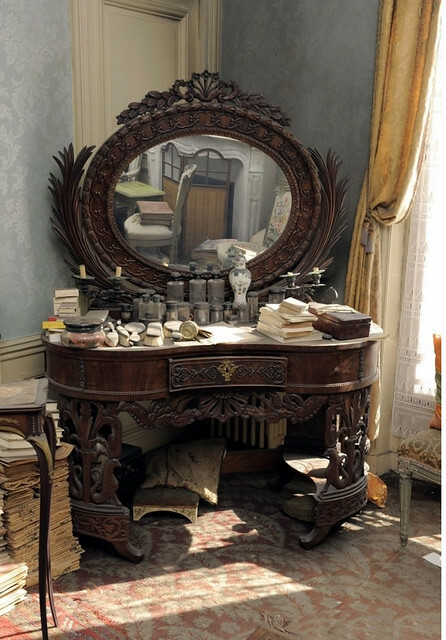 A Parisian apartment left untouched for over 70 years was discovered in Paris a few years ago. 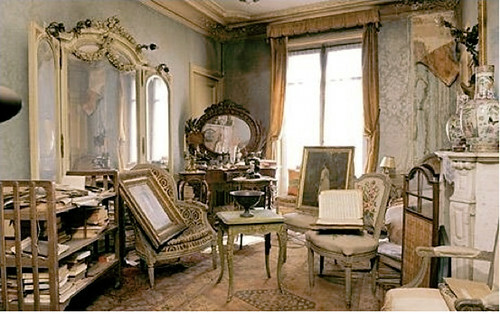 The owner of this apartment, Mrs. De Florian (who died recently at 91) left Paris just before World War II. She closed up the apartment shutters and left for the South of France, never to return. In the apartment a beautiful painting was discovered. One of the inventory team members suspected its importance. 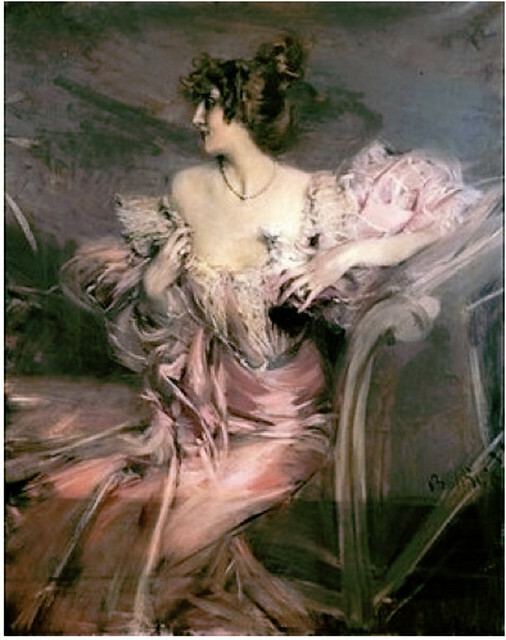 Love letters tied with colored ribbon from Giovanni Boldini, one of Paris’ most important painters of the Belle Époque revealed the truth about who painted the stunning portrait featuring Mrs. de Florian’s grand-mother, Marthe de Florian, an alluring French actress/socialite of the Belle Époque and Boldini’s muse and lover. The painting was later sold for $3 million at auction. What an incredible story. Can you imagine walking into an apartment that’s been untouched for decades? Can you fathom stepping out of your place and someone opening the doors 70 years later? I have so many questions like, what did the neighbors think? How could nobody have noticed that the apartment was locked up for so long? I’m not sure this could ever have happened in New York. Though, I suppose there’s an apartment somewhere nearby that could hold a treasure, work of art or some key to unlock history. I wonder. What a great story. The beauty of French apartments is that they always cling to their history. There isn’t the same pressure to throw out all the furniture with each new trend, so chairs and desks are carefully taken care of for many generations. That might be changing to some extent now, but the older generations in Paris still have such beautiful antiques that get used on a daily basis, and the walls of those buildings still preserve the original details and embellishments that today no one bothers with. Love this story though, makes me want to go back to Paris!